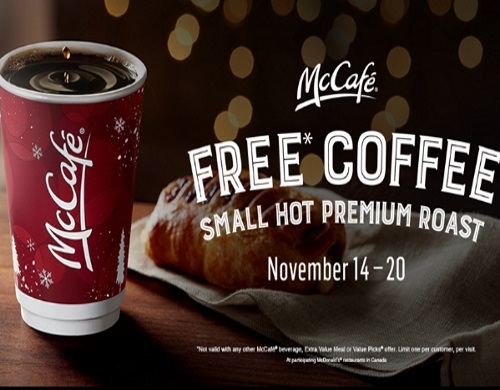 Mcdonalds' Free Coffee Event is back! Get a Free Small Hot Premium Roast Coffee! A small is free, but if you prefer a larger size you can enjoy a medium for $0.75 plus tax or a large for $1 plus tax. This offer is valid November 14-20, 2016 at participating Mcdonalds restaurants in Canada.